Collected in this inspiring anthology are 15 traditional stories drawn from a variety of cultures from all across the globe. Each tale focuses on a different key issue--among them sharing resources, the downfalls of pride, and the nature of true wealth--and offers insight on how they can best be resolved. 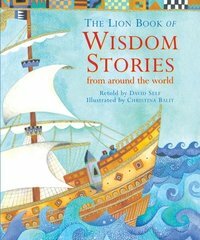 Sensitively retold and accompanied by lush illustrations, these tales offer a glimpse of people of every background and reveal the benefits of learning from others.